Here are some interesting facts about our four-legged friends! Another option for dog owners is to use coloured ribbons or bandana`s that follow the same colour coding as seen above tied in a prominent spot on a dog’s leash.Yellow ribbons are one of the most commonly used ribbons, signifying that the dogs who sport them need extra space when on a walk or around strangers. It is important to know that these dogs are not necessarily aggressive but can be uncomfortable or nervous around strangers, may be experiencing pain from a recent surgery, or not fully trained.The red ribbon is also common and signifies that the dog may be aggressive if approached by a person or another animal. It is important to remember that regardless of what colour the dog may be wearing, even if it’s green, it is important to always ask the dog’s owner if you can touch their pet. 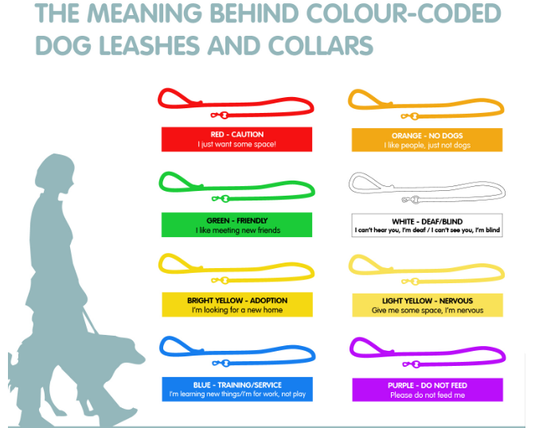 Spreading the word about the use of coloured collars, leashes and ribbons is the first step in encouraging responsible pet ownership and can help ensure dogs are given the space and support they need when out for a walk. *. A dogs nose print is as unique as a human fingerprint, and can be used to identify them. * Dogs can smell 1,000 times better than humans, dogs have 220 million smell detecting cells, human have 5 million. 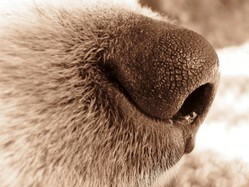 * Dogs have a wet nose to collect more of the tiny droplets of smelling chemicals in the air. * A puppy is born blind, deaf, and toothless. * A puppy will get 28 baby teeth. * When a puppy reaches 1 years old, it is considered to be an adult. * A dog has 320 bones in its body, the human has 206. * An adult dog will have 42 teeth. * Dogs have 18 muscles in their ears that enable them to elevate, rotate and move independently. * Dogs sweat through the pads of their feet. * A wagging tail doesn't always mean a dog is happy. * Chocolate can make dogs very sick as it contains a substance that is poisonous to a dog. Other foods are also bad for dogs, such as coconut, grapes and alcohol. * Petting dogs is proven to lower blood pressure of dog owners. * The grief suffered after a pet dog dies can be the same as that experienced after the death of a human. 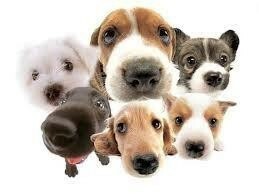 * Some dogs can detect illness including diabetes and cancer in a human, by sniffing a person’s breath. * The Chihuahua is the Worlds smallest breed of dog. * The smallest dog on record was a matchbox size Yorkshire Terrier, it was 2"5 tall, 3.5 Inches from nose to tail and weighed only 4 ounces. * Zorba, an English Mastiff is the biggest dog ever recorded; he weighed 343 pounds and measured 8 foot 3 from his nose to tail. 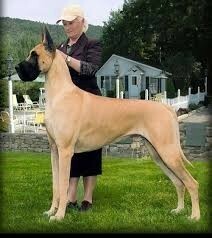 * The largest dog in the world is the Irish Wolfhound. * The heaviest breed of dog in the world is the St Bernard. * The Basenji is the only dog in the World without a bark. * Dalmatians are completely white at birth. 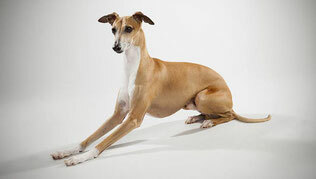 * The average dog can run at about 19 MPH, Greyhounds are the fastest dogs on earth and can run at speeds of 45 MPH. * The first dogs were self domesticated Wolves which at least 12,000 years ago became attracted to the sights of human habitation. * Border Collie and the Standard Poodle are believed to be the most intelligent of breeds. 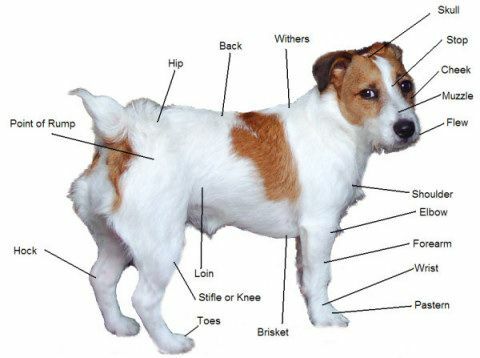 * There are over 400 different Breeds of dogs. 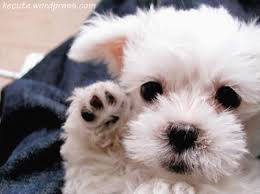 * There are approximately 400 Million dogs in the world. * Dogs can generally understand about 200 words including signals and hand movements with the same meaning as the words.